First off, the SEANET blogger wishes to recognize the comment from Mary Wright begging to differ with my assessment of guinea fowl. She claims they do have a purpose in life, and you should read her full comment at the bottom of the previous post. I think perhaps I am biased by keeping chickens who earn their keep in such an obvious, egg-shaped way every day, but Mary, your point is well taken! Moving on to current events, the SEANET blogger has just returned from Appledore Island off the coast of southern Maine. Appledore is the site of our own Dr. Julie Ellis’ long-term gull study, and the entire staff of SEANET Central (meaning Sarah and Julie) were out there for the past five days capturing adult Great Black-Backed Gulls. 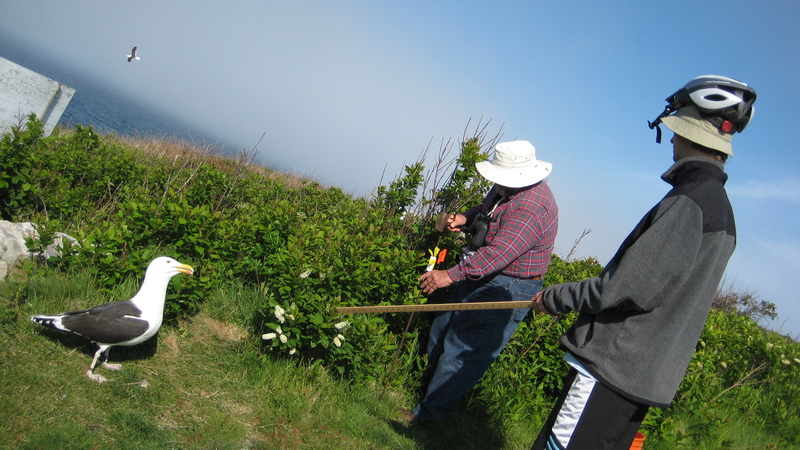 The goal of this week’s work was to band both mates in a pair of nesting gulls, and take blood samples from each bird. Once the eggs hatch, blood samples will be taken from the chicks as well to determine whether or not the male of the mated pair of birds is actually the father of the chicks. In many bird species, the female will seek out “extra-pair copulations” with males other than her mate. In Great Black-Backed Gulls, it is not clear how often this occurs. Hopefully this past week’s work will shed some light on the subject. Justin and Bill face off with a gull. The hazards of this work are considerable. The team out on the island was quite impressive. Julie had her long-time volunteer Bill Clark along on the expedition. Bill’s knowledge of the island and of the gulls nesting there is truly remarkable, and his management of the data collected is indispensable. Bill also brought along 100 cloth bags (sewn by his long-suffering wife) for restraining the gulls, as well as a whole slew of gull traps, some of which he made himself, and some which were made by his neighbor, who just happens to be a welder. Bill is truly amazing and really critical to this operation’s success. In addition to Bill, a newcomer on the scene came along this year: Justin Stillwell, an undergraduate at the University of New Hampshire, took to the gull banding like a true natural. He spent the past five days sprinting around the island, setting traps, retrieving and restraining gulls, drawing blood, and being a fantastic asset all around. We also had an influx of help in the form of graduate students, professors and post-doctoral fellows from Cornell’s Laboratory of Ornithology. Everyone worked incredibly hard and the result was a very commendable 40 pairs of nesting gulls sampled and banded! Dr. Ellis post-banding. Note both the aluminum, federal band on the right leg, as well as a black, field-readable band on the left leg. The whole stint culminated in the banding of Dr. Julie Ellis herself, who was chased down, thrown in a bag, wrestled to the ground, measured, weighed, and then banded on both legs. It appears that the experience gave Julie an even greater appreciation for what the gulls go through during banding. 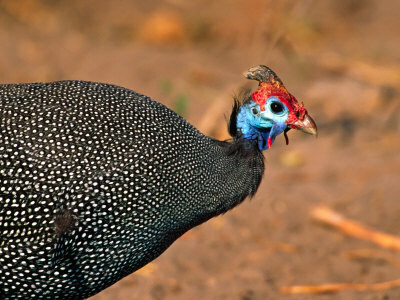 Our Bird A was a Guinea Fowl, similar to this one in all respects except the lack of a head. Yesterday’s Dead Bird Quiz generated an unprecedented number of responses. Bird A was universally pegged as a Guinea Fowl, despite the disturbing lack of a head. These are a domestic species kept on farms and in backyards for no particular reason except perhaps their reputation for eating a lot of ticks. 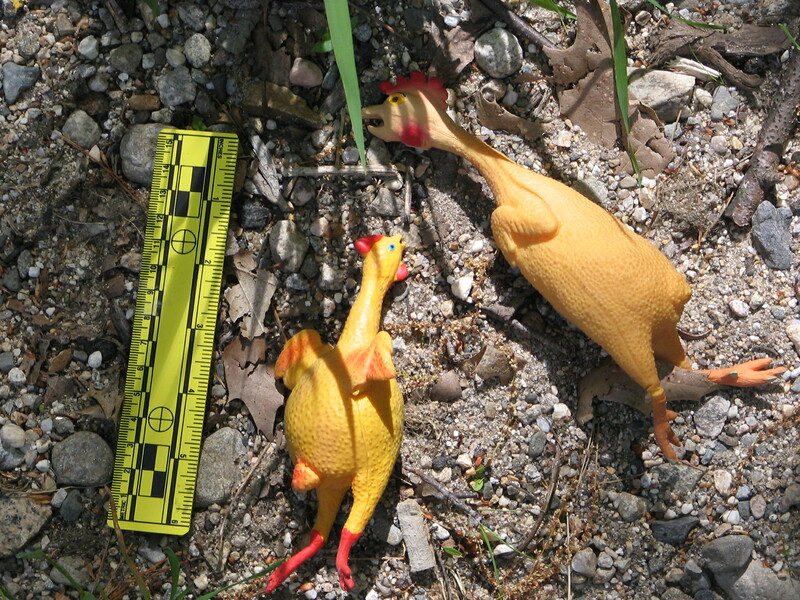 Our very learned readership offered a number of Latinate answers for Bird B: Stephen Brezinski, who found the bird, suggested that it was a Elastica Gallus Gallus Domesticus, Mary Wright said Gallus domesticus, subspecies plasticus, while Libby Rock sent an email identifying the bird a Common Gallus Hilarious (a personal favorite of mine). John Stanton suggested “mutant rubber jungle fowl,” and Diana Gaumond offered “Airline Dinner Main Ingredient.” This last would have been the correct answer, except that that ecological niche is now occupied by the species Stale Pretzels in a Tiny Bag. Now we must seriously consider Bird C, a very tricky specimen. Guesses were split almost equally between Ruddy Turnstone and Horned Lark. Your SEANET blogger is coming down on the side of the Horned Lark. 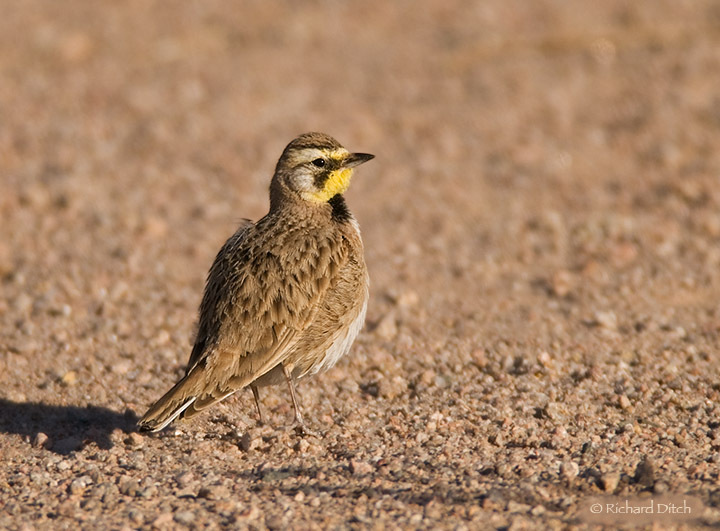 This is by no means definitive, but I justify it thusly: take a look at the image of the Horned Lark shown here (borrowed from the very cool Rich Ditch’s Photography Blog). The Lark has a shortish, sharpish beak much like our Bird C. Also, (and this is the clincher, I think) the Lark has yellow coloration on the throat and the lores, as does our mystery bird. 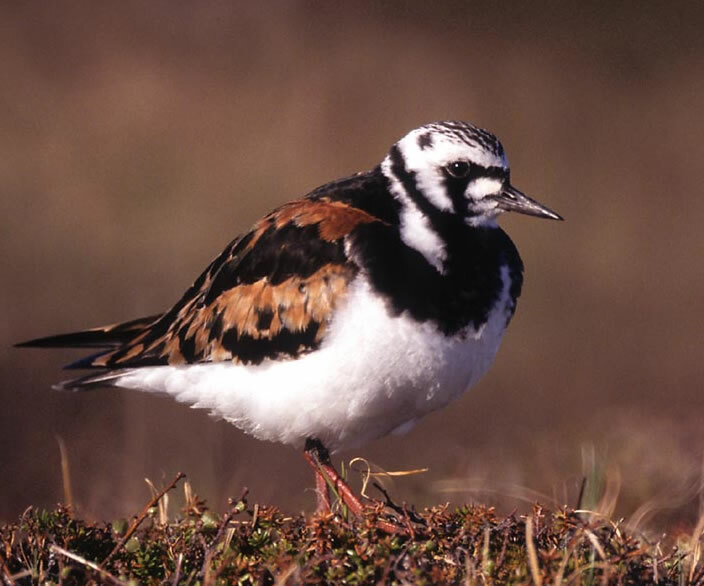 The Ruddy Turnstone, while also having distinct black facial markings, lacks any yellow and has much more white on the head rather than the brownish color over the head of the Horned Lark. Your blogger invites dissent on this matter as she is by no means the definitive expert. Thanks for the copious responses everyone! Bird C's head shows some considerable yellow coloration. Thus, Horned Lark. I think. 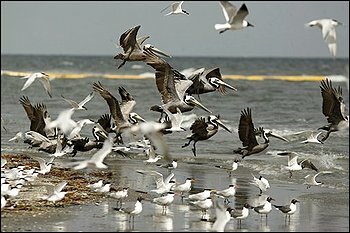 After all the grim news out of the Gulf the past few posts, your SEANET blogger is today electing to take psychological refuge in the old standby, the Dead Bird Quiz. On offer today: some really weird stuff. As always, comments, guesses, general musings are all welcome. A) This headless bird was found along with two headless pigeons (Rock Doves) on the New Jersey beach of Jerry Golub. B) These two distinctive specimens were found by Stephen Brezinski in Maine last month. C) This specimen was found on Long Island last month by Mark Ginsberg. To offer something of a counterpoint to Tuesday’s post, we offer a few resources falling more or less on the pro-oiled-bird-washing side. First, fellow blogger and Director of the Oiled Wildlife Care Network (OCWN), Dr. Mike Ziccardi, offered his take on the issue in a post yesterday. Dr. Ziccardi correctly points out that the cost of rehabilitating oiled wildlife does not siphon funds away from other worthy endeavors like oil cleanup or habitat restoration. The money for rehabilitating oiled animals is provided expressly for that purpose by the party responsible for the spill. He also puts the money involved into perspective; wildlife rehabilitation generally consumes less than 5% of the total response costs. The post does not address the issue of the long-term survival of washed and released wildlife, however, so your SEANET blogger went in search of additional information. Though now ten years old, a very good review article by wildlife veterinarian Dr. David Jessup speaks to the nuances of the issue. He cites numerous survival studies following washed birds to determine their long-term survival. Contrary to the statements of Dr. Gaus (see Tuesday’s post), the survival rates for seabirds are not uniformly grim, but run the gamut. Some studies on oiled African Penguins show that 90% survive to be released, and that 60% survive to breed the following year. One study on oiled Common Murres gives similar numbers, while a separate study on the same species gave the dismal survival rate of 0.7% long-term. The conclusion Jessup gives seems a good summing up of the matter: “Oiled wildlife care may or may not return significant numbers of birds to wild populations, however there is wide variation in release and survival rates depending on species affected, the breeding or biological state of those species, the nature of the product spilled, weather and temperature, quality and immediacy of wildlife care, and other variables.” Setting aside the economic issues and considering only the humane issues of bringing seabirds into captivity and subjecting them to the stress of washing, it seems only fair to evaluate the likelihood of long-term survival on a situation by situation basis. We should neither euthanize oiled wildlife en masse with no attempt at rehabilitation, nor should we clean every oiled animal even when the signs point to poor long-term success rates. When faced with such an environmental catastrophe, it’s in our nature to want to help. Our obligation to wildlife is to use the best science available to guide that impulse and ensure that our actions are truly in the best interest of the animals. In complex questions like these, there is, unfortunately, no single, and no easy answer. Is washing oiled birds really helping them? 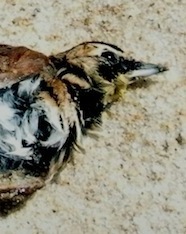 A handful of oiled birds, dead and alive, have begun turning up on the shores of the Gulf Coast. 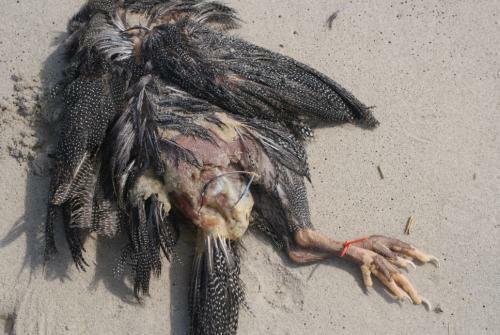 The ongoing offshore spill has likely affected many, many more birds that will never be recovered. But for the ones that reach shore alive, what is the most humane thing to do? Images of dedicated volunteers working to clean the oil from the feathers of birds caught in thick crude are standard issue after a spill. But should they be? Sylvia Gaus, biologist at the Wattenmeer National Park in Germany speaks from personal experience, and cites numerous scientific studies in her recent interview with Der Spiegel: “the middle-term survival rate of oil-soaked birds is under 1 percent,” Gaus says. “We, therefore, oppose cleaning birds. Gaus is not alone; after the 2002 Prestige spill off Spain’s Coast, the World Wildlife Fund argued that birds weakened enough from oil contamination to be captured are generally beyond help. Oil affects birds in multiple insidious ways: the physical effects of the oil on feathers leads to fatal losses of waterproofing and subsequent hypothermia. Those that are able to preen the oil off and restore their feathers’ water shedding properties often succumb to the toxic effects of oil on the liver and kidneys. Birds weakened by oil are immunosuppressed and many do not survive the massive stress induced by captivity, the washing process, and often lengthy rehabilitation. Still, many birds do survive the process and are released back to the wild with gleaming, sleek feathers restored, so is it worth all the time, money and effort involved to return those birds to the sea? And is it humane to subject so many birds to the stress of cleaning when so few apparently survive? 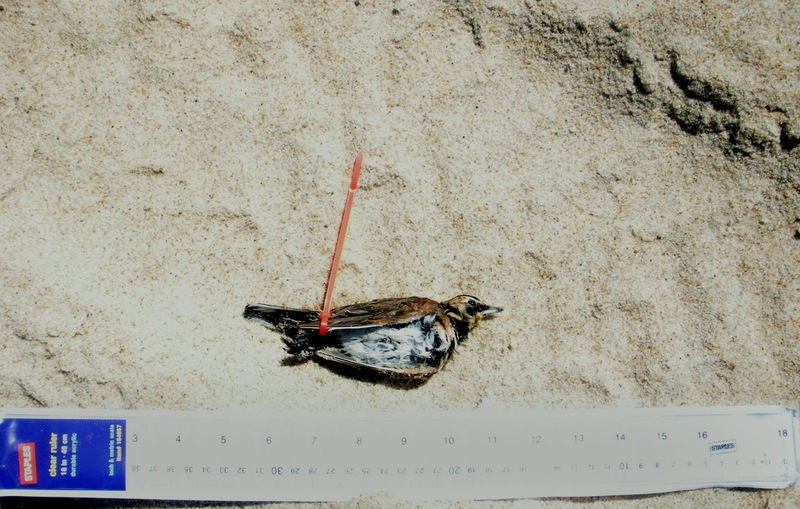 The Prestige spill killed 250,000 birds. Of the thousands that were cleaned, most died within a few days, and only 600 lived to be released into the wild. According to a British study of the spill, the median lifespan of a bird that was cleaned and released was only seven days. Proponents of cleaning efforts point out that those few survivors have shown their superior resilience and are exactly the birds that should be helped back into the population. And many people offer the more public relations-minded argument that the public will not tolerate oiled birds being left to die in the wild. Gaus argues that a reasonable middle ground would be to capture affected birds and humanely euthanize them. The SEANET blogger points out that Canada has adopted something of a hybrid policy: when endangered or threatened species are affected by a spill, those birds are cleaned and rehabilitated. For other species, the decision to clean birds is made based on the likelihood of their successful release. This calculation includes the temperament and tolerance of captivity for each species, as well as factors like the temperature of the water where the spill occurred (warmer water = better prognosis for bird survival). When the success rate is likely to be low, humane euthanasia is elected. The United States will likely continue cleaning birds routinely in response to spills. SEANET, being very comfortable with the idea of dead birds generally, only suggests that we evaluate our spill response policy to best serve seabirds, considering both the population’s survival, and the individual’s humane treatment, and not just our own desire to do something in the face of such a tragedy. When the chance of long term survival is dim, we must evaluate our motives in such labor-intensive, expensive and, for the birds, massively stressful, endeavor. SEANET acts as a link between seabird science and the concerned, conservation-minded citizens who love the oceans. It comes as no surprise then, that many people are looking to SEANET for information and advice about the oil spill in the Gulf of Mexico. Since we know that our volunteer corps is made up of people who see conservation as an active pursuit, we know too that our volunteers are likely to want to help in the wake of this environmental catastrophe. For those of you considering a trip to the Gulf coast to try and help, I encourage you to do so within specific parameters. 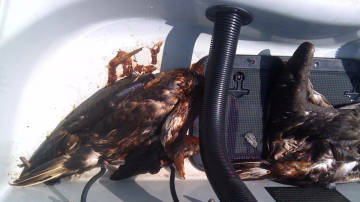 The wildlife assistance aspect of the spill response is being provided by Tri-State Bird Rescue and Research. All individuals and groups wishing to help with the response must be coordinated through Tri-State. Tri-State’s first priority has been to recruit wildlife professionals and paraprofessionals (veterinarians, vet technicians, wildlife rehabilitators etc) and to focus first on recruitment within the Gulf states from Texas to Florida. If you are such a professional, you can contact Tri-State’s Paraprofessional Coordinator at fw4ppc@fws.gov or to 404/679-7049 and leave your name, your qualifications, and your approximate dates of availability. If you are not a wildlife professional or paraprofessional, you can register to volunteer at Gulf of Mexico- Deepwater Horizon Incident . You can also donate to help Tri-State with their rescue and rehabilitation efforts by visiting their site through the link above. For Seanetters in the Gulf Coast area, or anyone finding herself along the shore down there, all oiled wildlife calls should be directed to the Wildlife Hotline at 1-866-557-1401 so they can coordinate recovery/rescue. Regardless of whether you can go down to the Gulf to help or not, all Seanetters are contributing to the response simply by continuing to do beach surveys. Some of our Florida volunteers are likely to see at least some measure of the direct impacts of the spill in the coming weeks, and SEANET has been asked to provide beached bird data from the region. If we are to be of maximum utility in this case, and in future spills, we must maintain a data base of the best possible scientific robustness. So wherever you are, Seanetters, keep up the good work, consider upping your walk frequency to twice monthly or even weekly (if you can maintain that frequency throughout your continued involvement with SEANET, of course) and be vigilant about your adherence to our methodology. We are hopeful that, though SEANET’s presence in the Gulf has been limited up to this point, we might be able to expand our network and contribute to the ongoing assessment of the impacts on marine life there. We know that the effects of this disaster will not soon fade from those shores, if they ever do. Thanks for all you have done and continue to do, Seanetters.